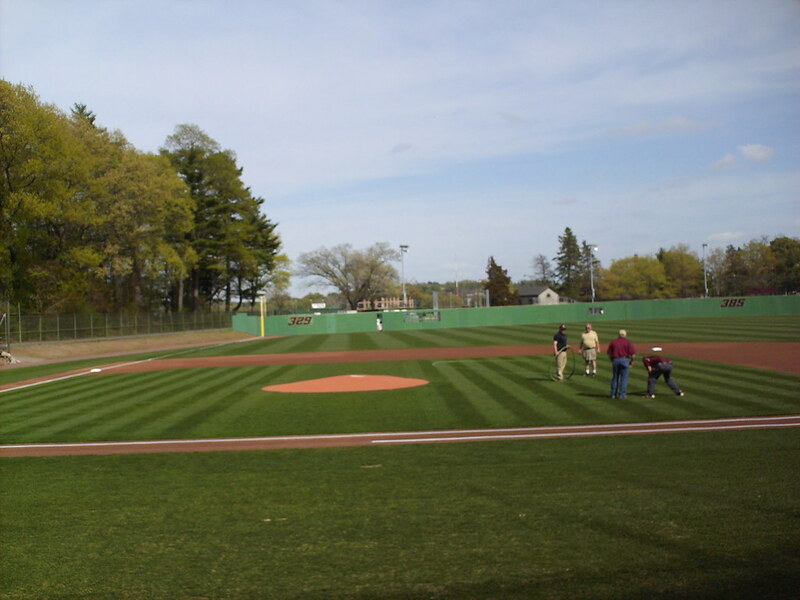 The view from behind home plate at Shea Field. 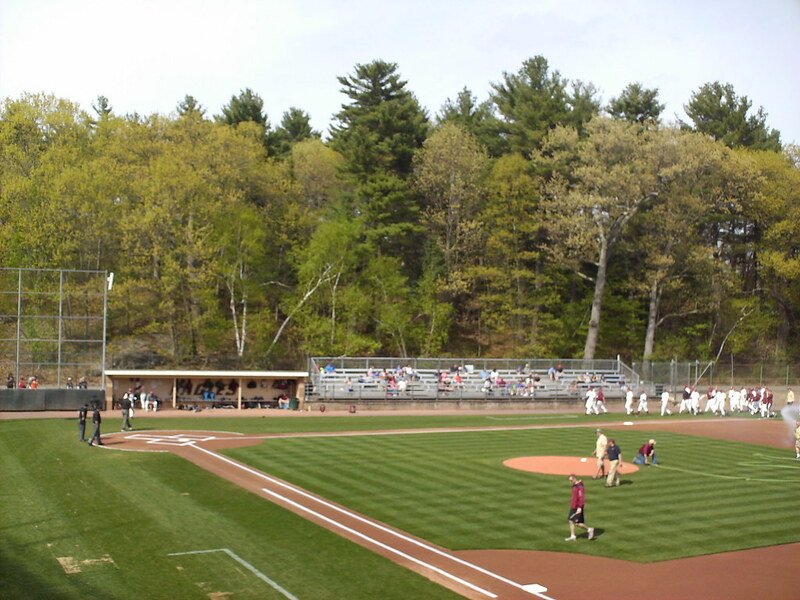 The grandstand and playing field at Pellagrini Diamond as seen from the right field corner. 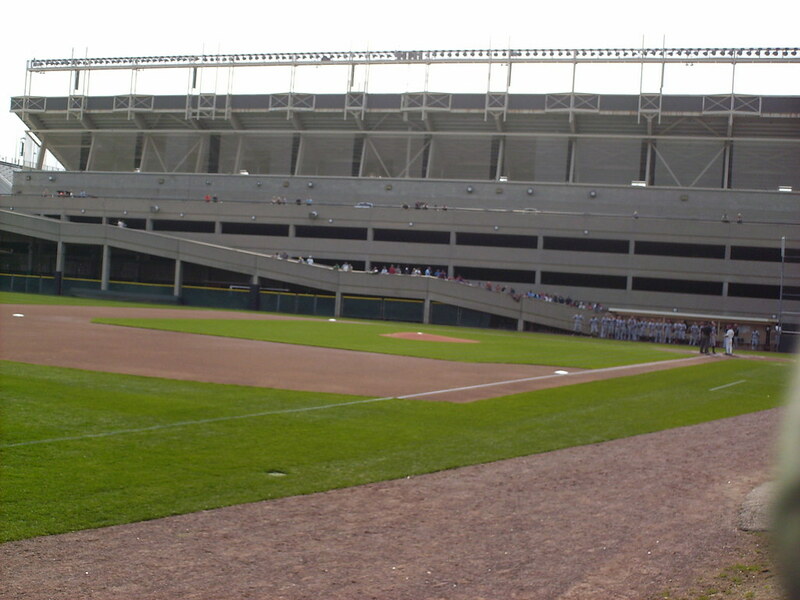 A very small covered grandstand sits behind home plate, with three rows of aluminum bleacher seats. 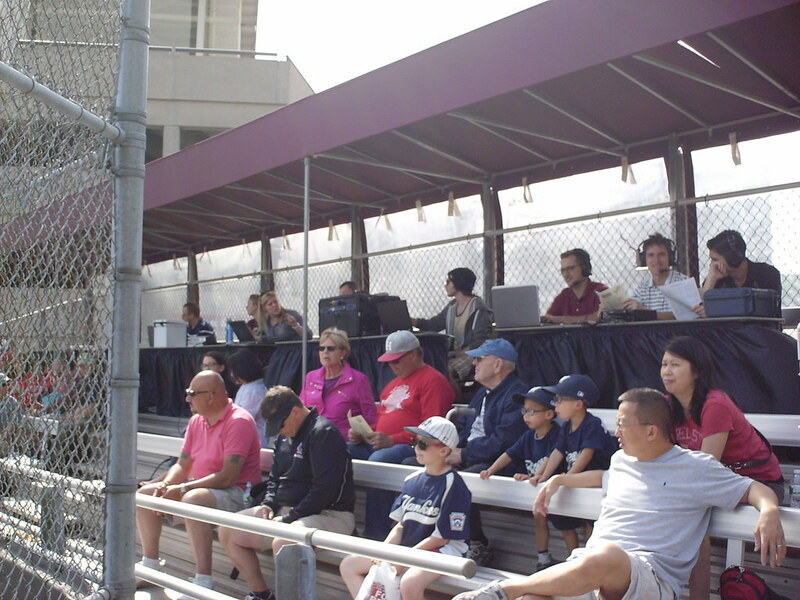 The "pressbox" at Shea Field is just a row of tables along the back of the grandstand, open to the fans and the elements. 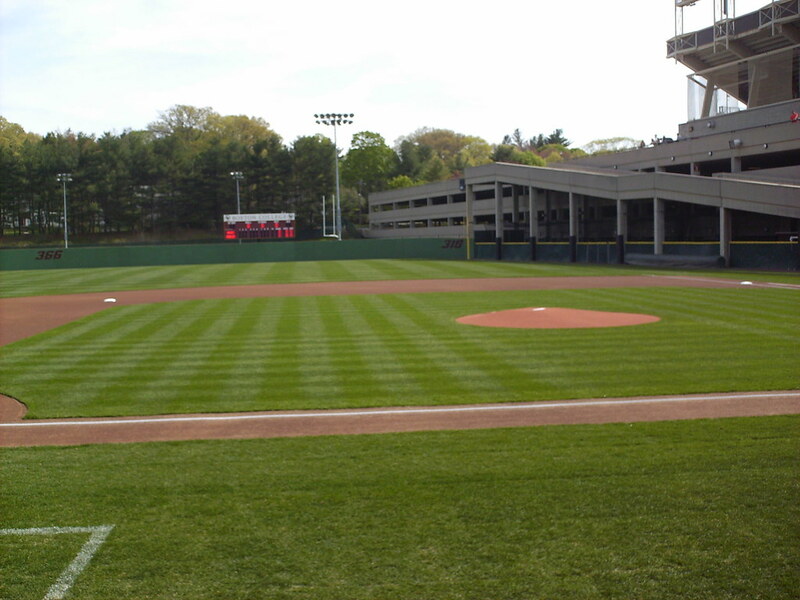 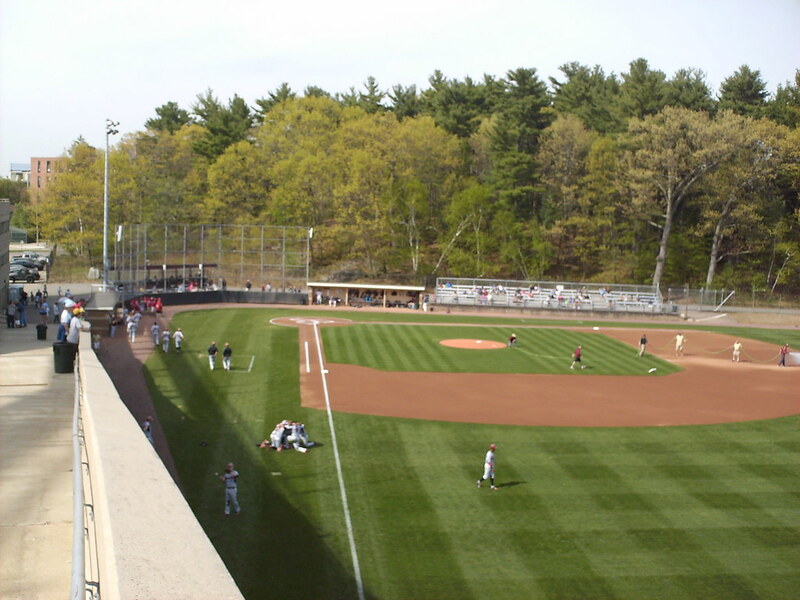 Alumni Field- BC's football stadium- and a concrete parking garage loom over the ballpark from along the first base line. 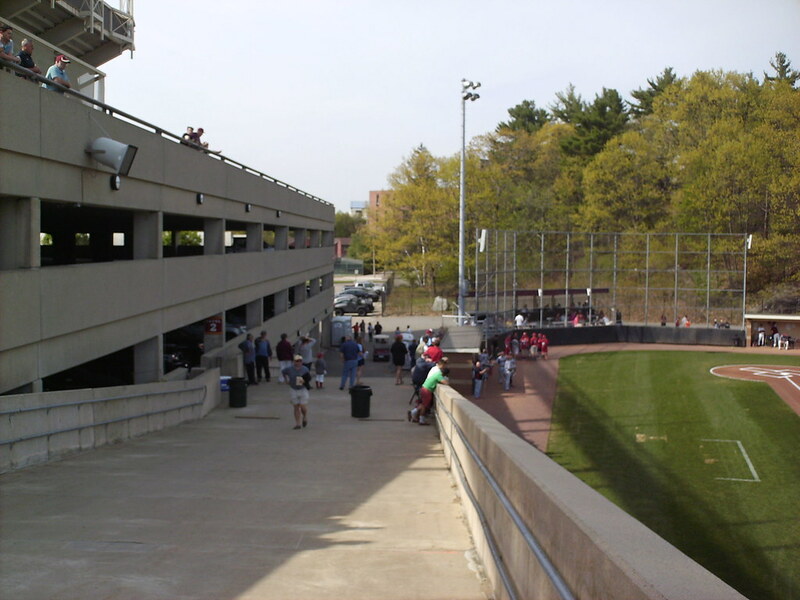 Fans line up along the parking garage ramps and tailgate on the roof to watch the game from one of the most unique viewpoints in college baseball. 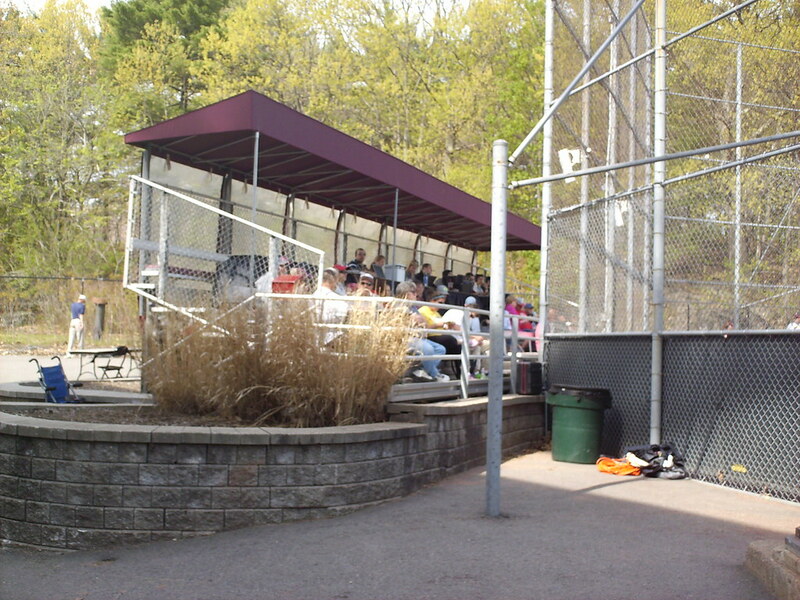 Bleacher seating runs down the third base line. 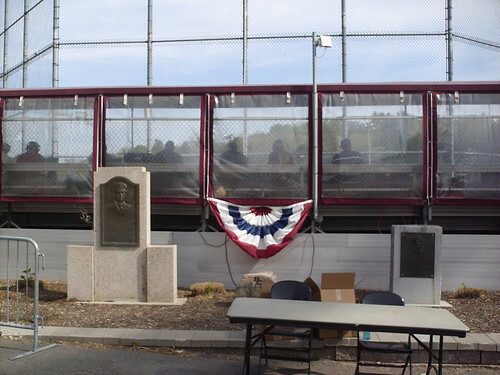 The dugouts are at field level, rather than dug into the dirt. 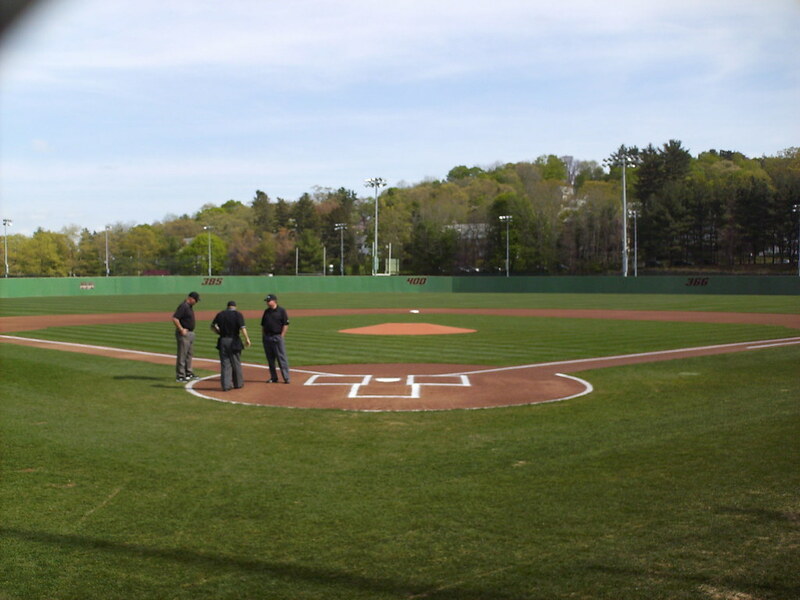 A grassy hill runs up to the left field foul pole, making for some tricky plays in foul territory on the third base side. 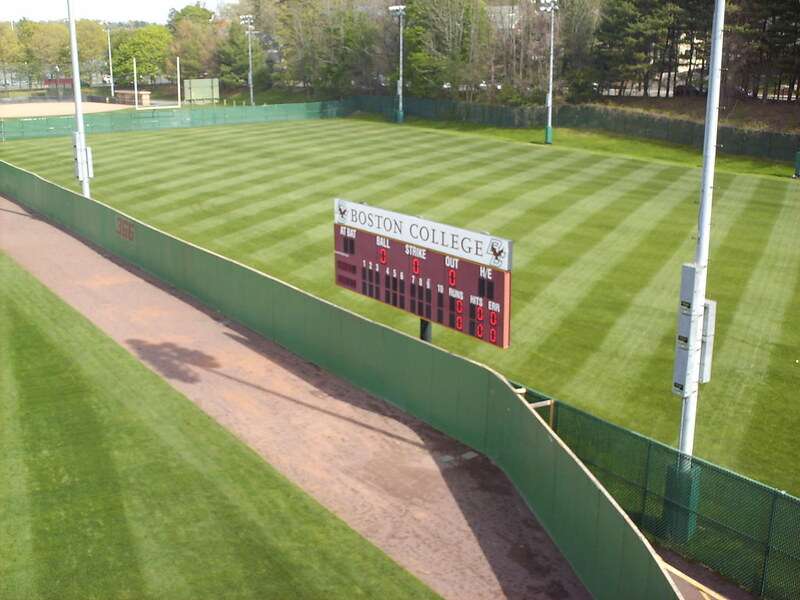 The outfield fence at Shea Field features cutouts in left field for the bullpen pitchers to watch from. 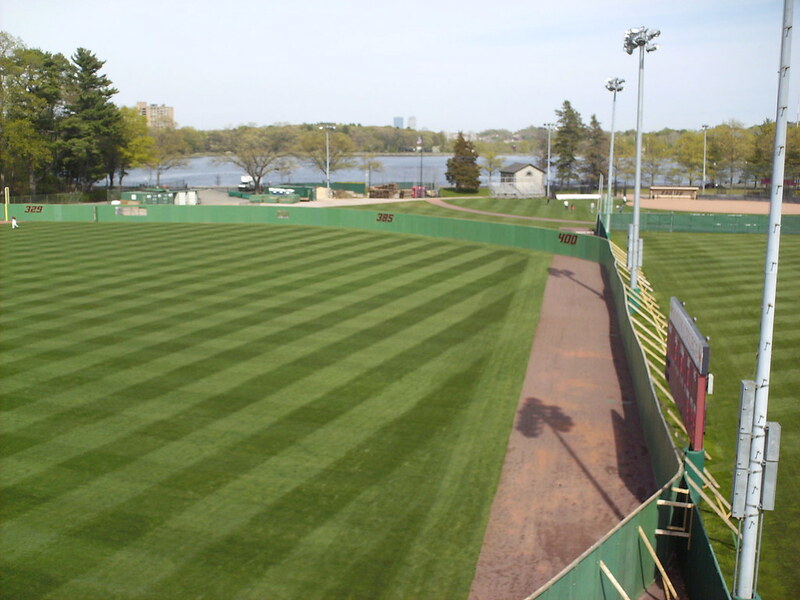 Beyond the wall is Boston College's softball field and the Chestnut Hill Reservoir, with downtown Boston in the background. 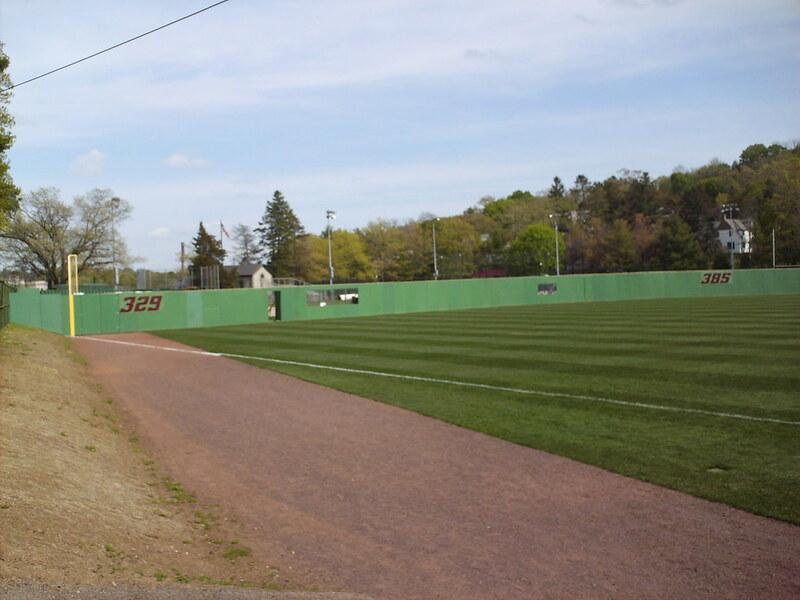 The scoreboard in the right field corner. 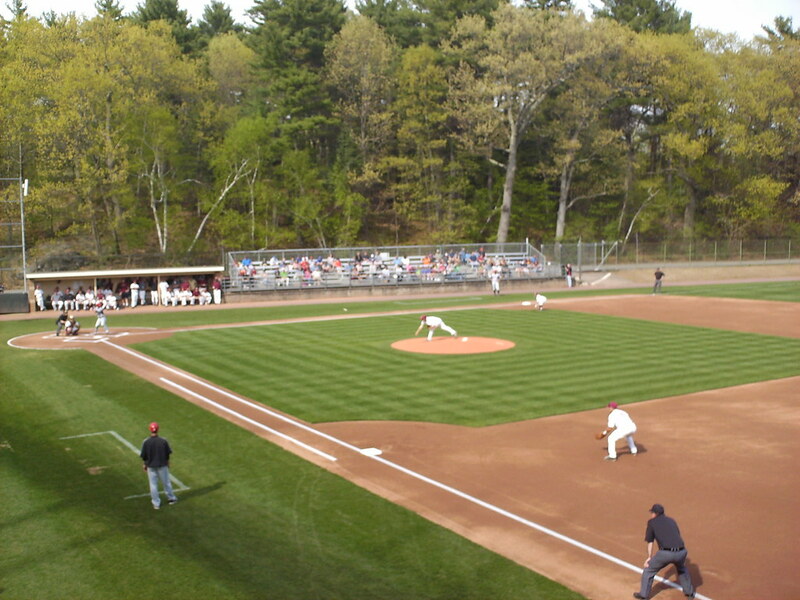 The Boston College Eagles on the field during an NCAA game at Shea Field.